Belgium Likes Underground Beer. No, Literally : The Salt The historic city of Bruges is getting a 2-mile-long underground beer pipeline. Too bad it's from brewery to factory, not brewery to your door. The De Halve Maan Brewery plans to build a pipe beneath the streets of Bruges to carry its brew from its historic brewery to a bottling plant 2 miles away. The De Halve Maan Brewery prides itself on its family origins, its classic recipe, and the history of its beer, crafted carefully since 1856. But there's change brewing (pun intended) on the horizon: In 2015, its owners hope to open a pipeline of beer beneath the city streets of Bruges. "We thought, 'It's a crazy idea to do this,' " Xavier Vanneste, managing director and a member of the fifth generation of the brewing family, tells The Salt. "But you start thinking about it, and you start investigating and talking to other engineers from other businesses," and suddenly, it's not such a crazy idea after all. The brewery has won principal approval from city authorities for the pipeline, but the technical challenges of breaking open the streets to place the plumbing still need to be worked out. The veritable duct of drinks will traverse the 2 miles from brewery to bottling plant in 15 minutes, carrying 600 to 700 cases' worth of beer per hour. The beer pipe will help De Halve Maan stay in its current location, the city center of Bruges, a UNESCO World Heritage Site. 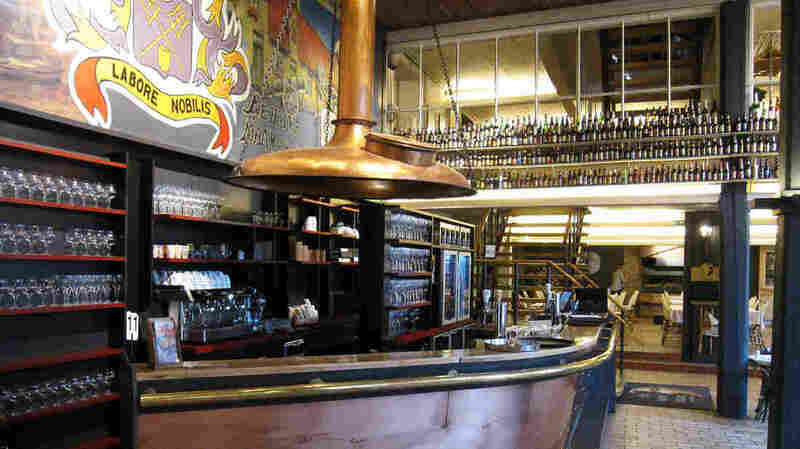 As the brewery grew, so too did the pressure of being located in Bruges, a quaint city not looking for the heavy traffic of an expanding brewery. "The economic solution would be just to move the brewery outside the historical plant," says Vanneste. With the pipeline in, both parties win. 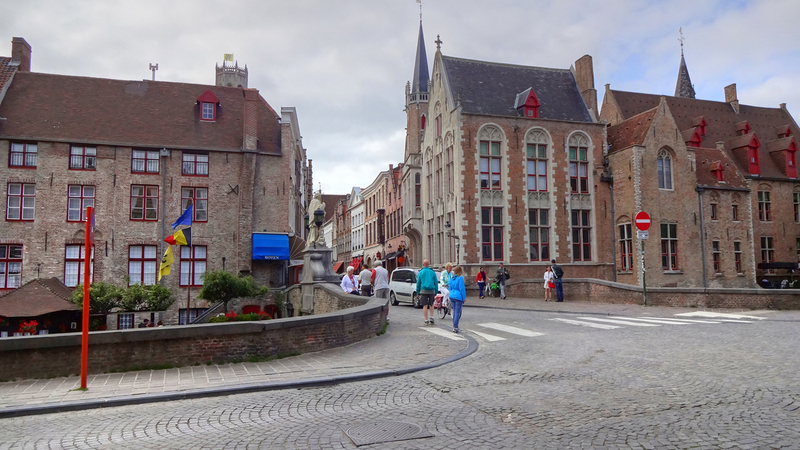 Bruges gets to keep its picturesque cobblestone streets, and the brewery stays in its historic location. The pipe, on the other hand, is "more a sustainability project," he says, adding, "It is part of our authenticity, to keep the brewery on its original premises. And we are ready to fight for this." The idea was bolstered by advances in pipelines for oil and gas, ensuring the beer that reaches the other end is just as good as what went in. The pipe will be made from a high-end plastic, says Vanneste. "We did many tests to be sure this would not affect the quality, not the taste, not the foam, not the color of the beer." They'll also have to clean the pipe after every batch to prevent contamination. De Halve Maan hopes once the debates with the local government are finished, the pipe will be installed in three to four months' time. "We think beer is a traditional and an emotional project," says Vanneste. "People care more and more about where it is brewed." So much, in fact, they'll undertake a pipe dream to keep it there.